One of Justin Trudeau’s signature campaign promises was that the 2015 Federal Election would be the last one held under our antiquated first-past-the post electoral system. The promise was repeated many times and was even part of the government’s speech from the throne. In interviews in December 2016, Trudeau once again promised that his government would change our voting system in time for the next election. So it is extremely disappointing to hear that the Trudeau government does not intend to keep its promise on electoral reform. The Liberals have announced that they have abandoned plans to reform our voting system for the better, and they are clearly hoping that voters will forget about this massive about-face when we return to the polls in 2019. The world is going through troubling times. 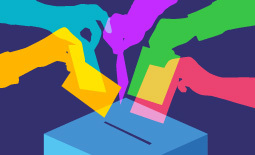 Now more than ever, we need electoral reform as a means of ensuring that our politicians and political parties work together to address the immense challenges that we face. We need a voting system that encourages our elected officials to find common ground on policies that serve the public interest, not just the interests of one party. It is important for us to tell the Prime Minister that we will not forget his promise to Canadians. We have to let the Liberals know that we will not accept their cynical approach to electoral reform. We cannot give up the fight to make every vote count. Help ensure that your voice is heard on this issue by sending a letter today.